I looked on the internet for inspiration today and I saw two things that I used. First was smalti which is glass colored with metal oxides. The molten glass is pressed flat and then broken up into tesserae after it has cooled. I bought smalti a while ago but I haven’t used it much. I like it with the little recycled glass tiles because they both have saturated colors. I also mixed in some glittery glass tiles. 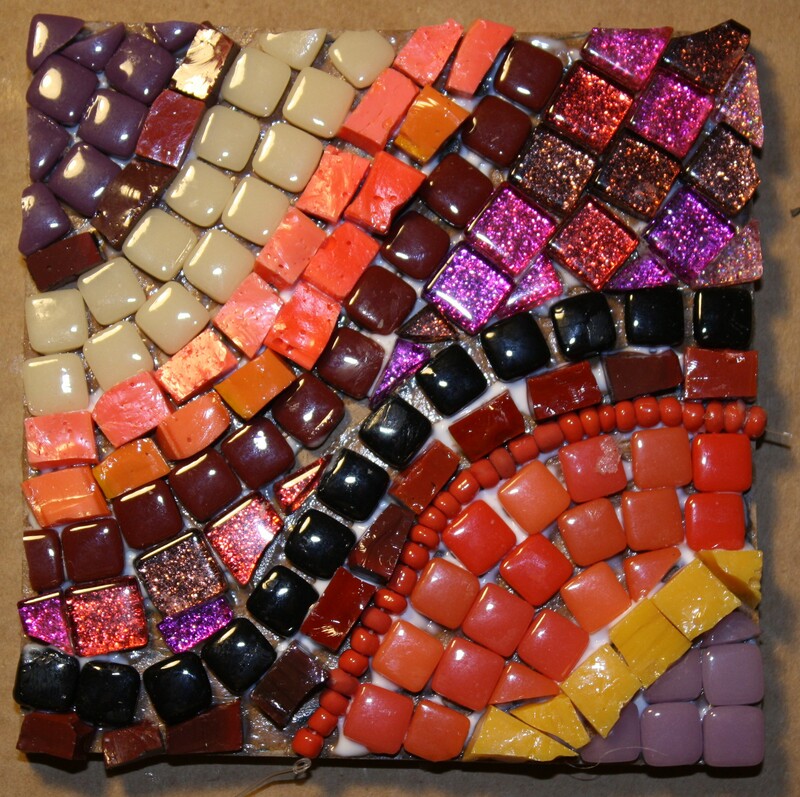 The second inspiration from the internet was four little mosaics, each with the same type of design done in different colors and each one had another part of the design that went through all the mosaics that linked them together. 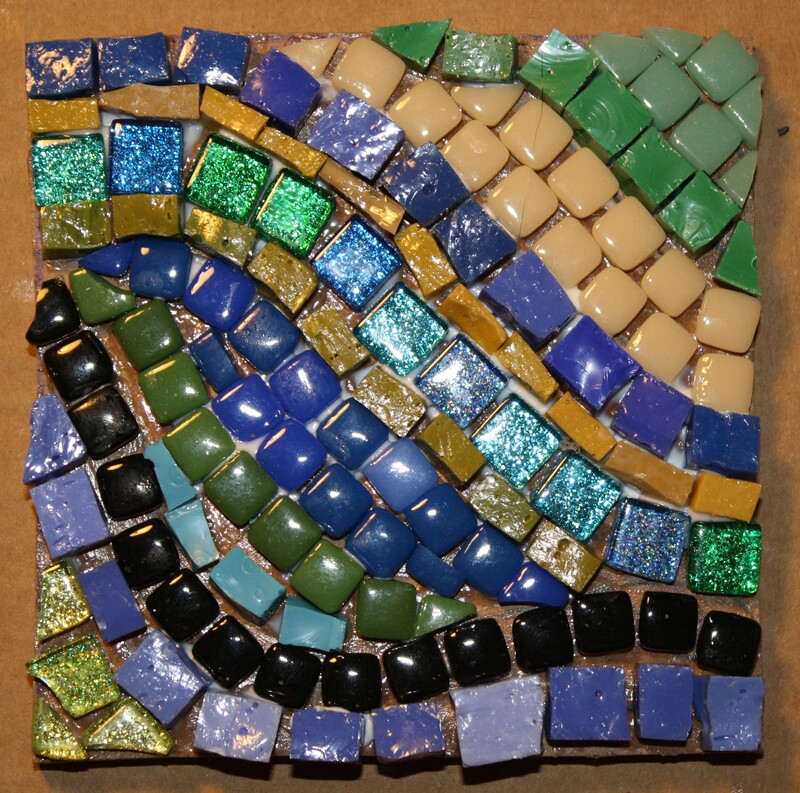 Last week I made Friday’s and Saturday’s mosaics link together to form a unified design. I sort of did that again this week. I’m going to show them separately today and then I’ll show them together once they’re grouted.